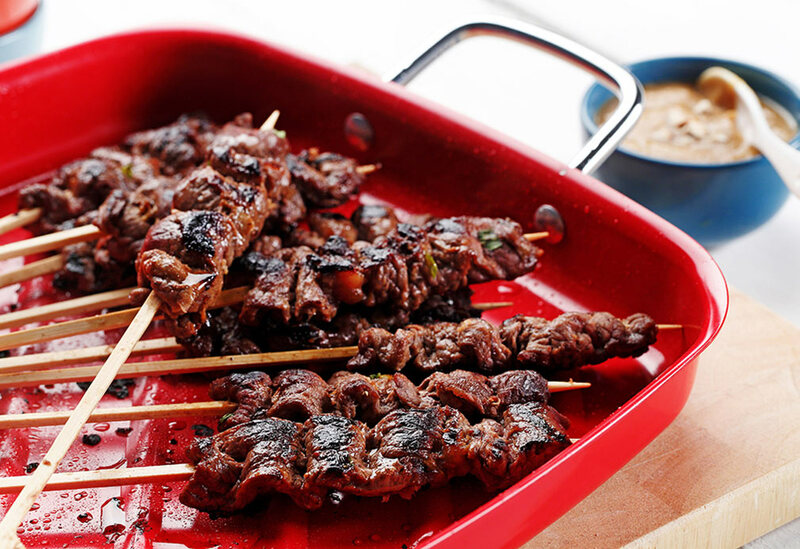 Flavorful beef satay is perfect for backyard barbecues or other entertaining. It works as an appetizer or main course, plus it’s easy to eat with no need for a knife and fork. Canola oil’s high heat tolerance is ideal for grilling or broiling the skewers. 1. Thinly slice steak across grain and place in bowl, plastic container or heavy-duty resealable bag. 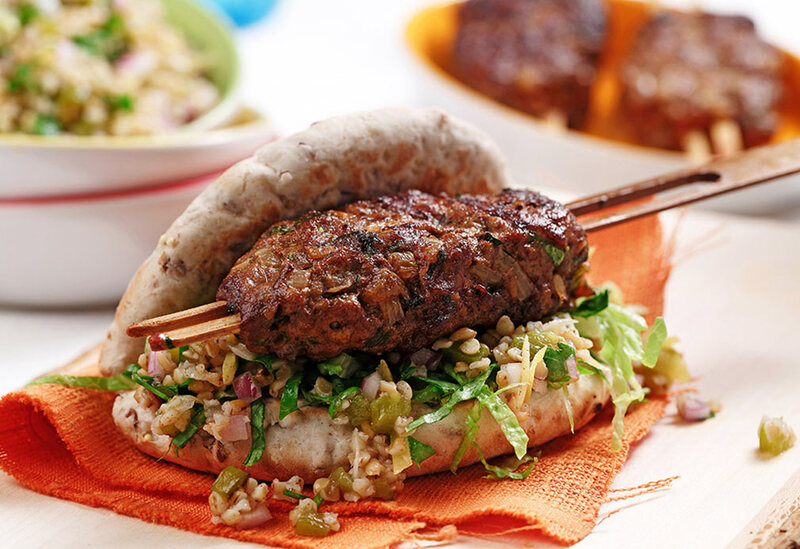 Add remaining satay ingredients and stir or squeeze bag around to combine. Cover or seal and refrigerate for at least an hour or overnight. 2. To make peanut sauce: In small bowl, combine all ingredients with a whisk. 3. Soak about 16 bamboo skewers for at least 15 minutes. When you’re ready to cook, preheat grill to medium or turn on oven broiler. Onto each bamboo skewer, thread one piece of beef, weaving back and forth in S-shape. 4. Broil on parchment-lined baking sheet or grill for several minutes per side, turning as needed until beef is golden and cooked through. 5. Serve immediately with peanut sauce for dipping. 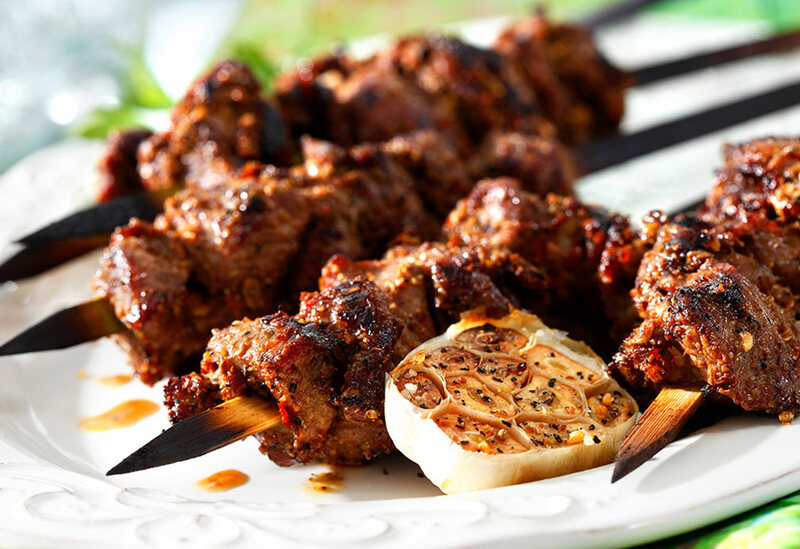 Tips: Steak can be frozen in its marinade for up to 4 months. To thaw it, put it in a bowl in the refrigerator overnight. Peanut sauce can be made ahead and refrigerated for up to 4 days. 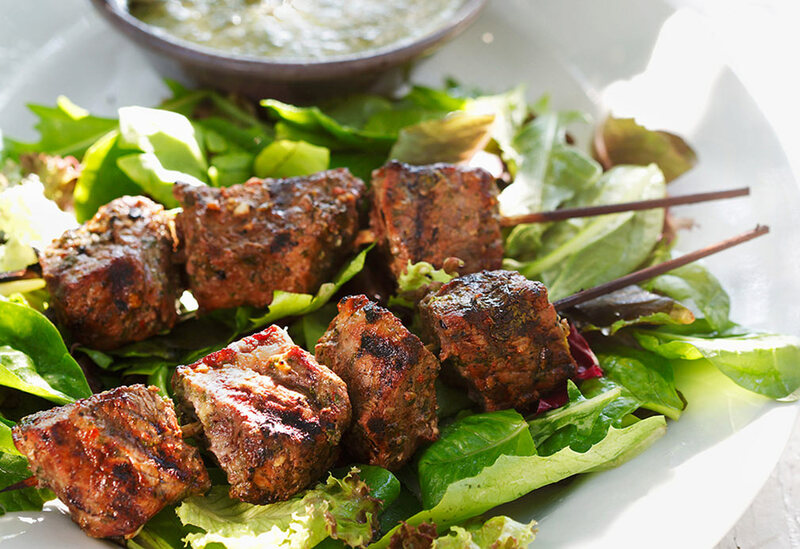 Fresh herbs, citrus and spices are blended together with oil to create both the perfect marinade and sauce for just about anything.